Is there a better alternative to ImageReel? Is ImageReel really the best app in Author Tools category? Will ImageReel work good on macOS 10.13.4? ImageReel offers fast image viewing, powerful batch renaming and saving collection of images as an album for later viewing. 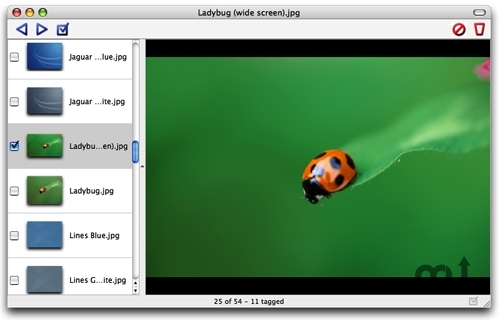 ImageReel lets you view your images in five different ways (full screen, full size, scaled to the window, and two auto-sizing modes). ImageReel has support for mouse scroll wheels for flipping through images, advanced regular expression support while batch renaming and can read Exif metadata from your digital photos. ImageReel needs a rating. Be the first to rate this app and get the discussion started!